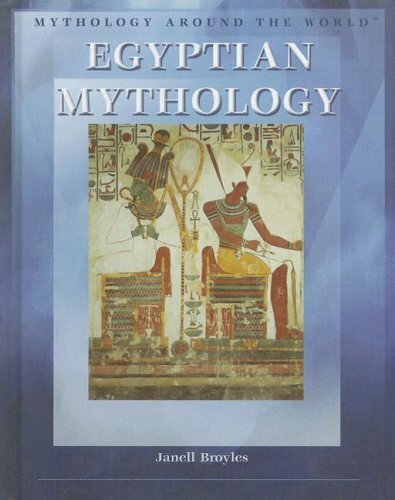 I wanted to do some personal research on Egyptian mythology and this book covered almost all the questions I had. I greatly enjoyed reading it. 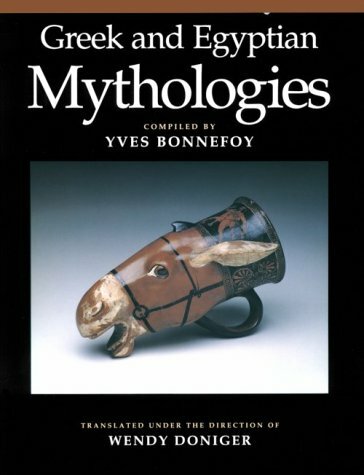 A good companion to Greek mythology. I recommend it to all. 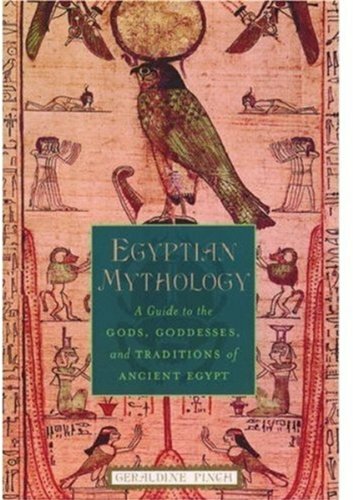 I enjoyed the content of the book but would have liked more pictures of gods & goddesses.I wanted to be able to identify them on temple & tomb walls in Egypt.I felt it gave me a solid foundation in Egyptian mythology though. 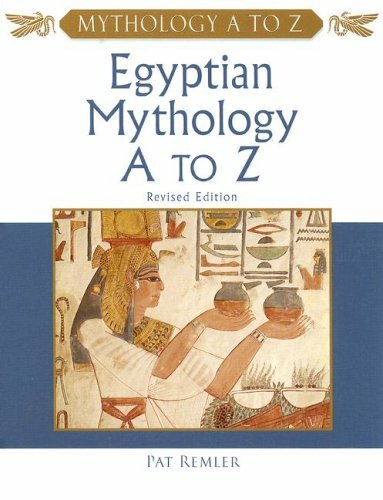 I found Pat Remler's Egyptian Mythology A to Z to be one the easiest waysto learn almost everything there is to know about ancient Egyptianmythology, and then some.What I liked best was that the author not onlyconcentrated on the Pantheon of Ancient Egyptian Gods and theirmythological histories, but Remler also included in it's encyclopedia-likeformat such entries as Magical Colors seen in tomb paintings.I will neverlook at another Ancient Egyptian scene, whether in a tomb, museum or bookwithout knowing a great deal more about the significance of what eachspecific color actually means.Everything is included here, from coveringthe alleged "Curse of Tutankhamen" to a descriptive analysis ofthe various Crowns worn by the Pharaohs.I found the book's shortIntroduction to be another amazement.In a matter of three or four pagesthe author covers a time span of some 700,000 years, from Egypt'spre-history, when very little was happening, to the sudden explosion ofculture less than 5,000 years ago. There is an easy to follow timeline forAncient Egypt and numerous line drawings of the gods and goddesses by MaryJordan.The splendid photographs by the author made this book, for me, areal pleasure to read.It is a handy, alphabetically arranged referencebook that will surely be of interest to anyone in pursuit of reliableknowledge of the subject.It's a book for everyone, from being "AYoung Reader's Companion," as its subtitle suggests, to the scholar inneed of refreshing his or her memory of Ancient Egypt's mythologicalvastness. All the mystery and magic is here, in this very well writtenbook. 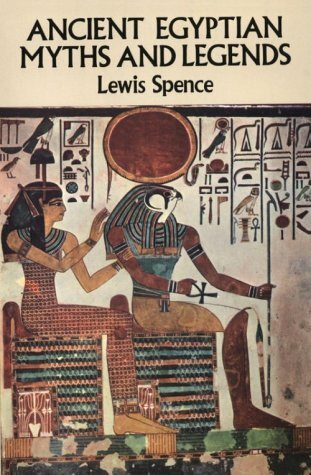 I have long been an armchair Egyptologist myself, have been since Iwas twelve-years-old.How I wish I had come across such a book as this,over half a century ago. Who took the throne then? Who is the eye of the sun? You can find all the answers in this book. 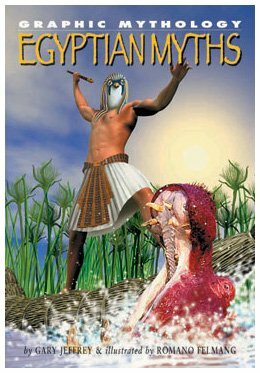 Through this amazing novel, many Egyptian myths are told with dramatic pictures and excitment. 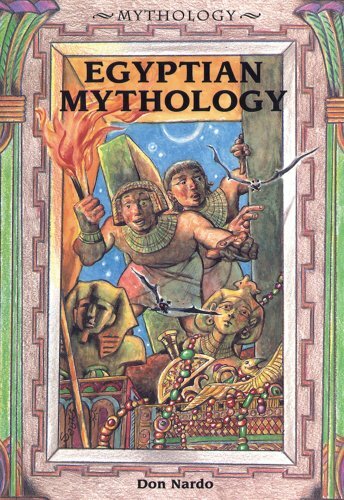 The myths in this book are the most exciting myths out of all of them. Even if you read the book once, you'll want to read it agian! Each story will capture your imagination each time.At the end of the book there is also a short lesson on writing hieroglyphics. All in all, this book adds up to be the best book I've ever read. This book is not only sadly out of date, the author admits most scholars would consider it absolutely wrong and spends much time defending his own credentials.Indeed, his entire preface is a plea to take him seriously even though he's writing for the popular market because his contemporary scholars would reject his work. He gets a lot of stuff wrong.For example, he has a photo of Ahkenaten sitting on his throne with the hands of the solar disk Aten holding anks to him and this is labelled as being an image of the Aten.The figure is most certainly not the deity, but the pharaoh.He spends pages on animal worship and completely ignores the Apis bull.He makes connections where there are none (between Osiris's coffin being caught in a tree and a type of vegetation worship for which we have no evidence).If you want to know about Egyptian mythology, look elsewhere. This book is great for lovers of Elizabeth Peters' Amelia Peabody novels---it shows the state of knowledge about ancient Egypt in the early 20th century.This book was published originally in 1915.It's a classic.But it's NOT a good source for up-to-date scholarship on ancient Egyptian religion.The author's thesis is that ancient Egyptians were just as barbarous in their primitive beliefs as any other savages are.This can be very amusing to read, but. . . .Much of the information is outdated, some of it is just plain discredited; it's also occasionally quite insightful.It's more likely to confuse somebody who doesn't know much about ancient Egypt than to help, though. The details this book gives are extraordinary and the accompanying plates and illustrations are wonderful, though on occasion their quality is waning. I particularily found fascinating the study of the five parts ofthe being and their capabilities when the body containing them was alive ordeceased.The influence of dreams is also looked at, albeit briefly.Myonly real complaint might be that since it was written in the earlytwentieth century, Pharaoh names and place-names are rendered differently,which is a bit odd, and the authors habit of referring to the ancientEgyptians as savage and primitive gets a bit annoying.I realize that thisis only a reflection of the attitude of his day, and thus I will not holdsuch against Mr. Spence as the rest of the work more than makes up forthese blemishes of preference. Gods, Goddesses & Mummies, Oh my! 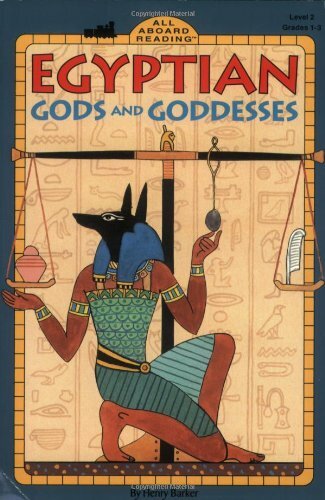 -- a review of "Egyptian Gods and Goddesses"
So many beginning readers are fiction, so it is nice to run across something in the non-fiction genre.This particular book's focus isdeath and the afterlife in ancient Egypt.It begins with a discussion of the more familiar gods -- Osiris, Isis and Anubis -- what they looked like and what attributes they had.It then goes on to describe the dangers to the soul that were thought to exist as it transitioned from life to death.Including the final judgement at the end. Other points of interest are the burial practices.The book actually goes into a considerable detail about how mummies were made.Very cool, but not gross.There is also a discussion of pyramidsincluding some of the typical contents that might be found inside:items such as glassware, chairs, and musical instruments.Examples of cuneiform are shown.The book finishes by noting that modern Egyptians are mostly Muslim and that they pray to one god - Allah. The publisher lists this book as a Level Two and suggests it as a practice reader for those in first, second, and third grades.However, the Accelerated Reading designation for this book is 3.2 -- which means that that group feels that the book is best suited for new Third Graders. You find vocabulary words such as:festival, people, prayed, thousand, special, powers, brought, warmth, guarded, warriors, protected, etc. Four Stars.Okay Read-aloud.In general, I think this book is a nice introduction to a historical period most young children wouldn't otherwise be exposed to for years.Content is fascinating and even I learned something. Annoyingly there is no pronunciation guide.Most adults may know the names, but children probably won't. 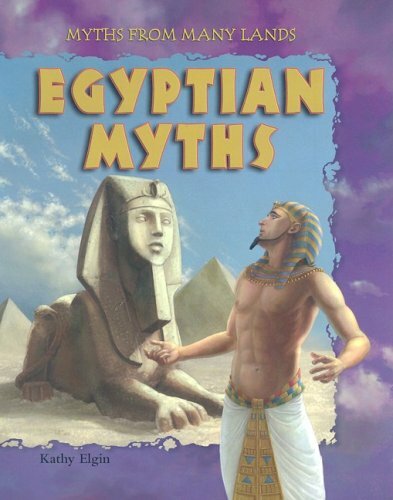 While there are a lot of sight-words in this book, it is very accessible for novice readers.I got this book alone with easy readers on the Nile and King Tut for a unit we did on Egypt.It could also be useful for a unit on ancient mythology (when paired with books on Ancient Roman and Greek myths). Beautifully illustrated children's book. 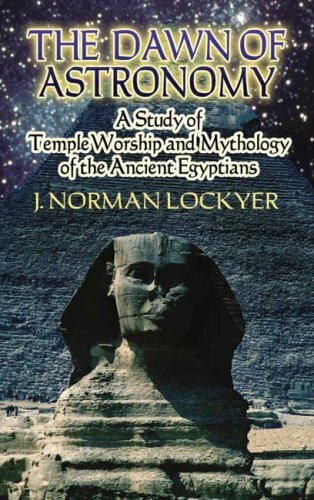 Gives basics of Egyptian Gods and Goddesses, ancient Eryptian beliefs in afterlife, mummies, pyramids, and more. Great for kids, with or without a trip to the museum! 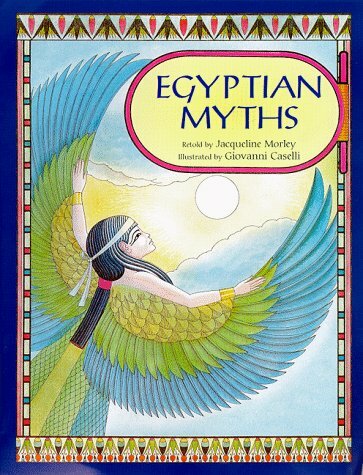 My young daughter has gotten into mythology and ancient religion and this is one of the few books I've found geared towards the young reader. 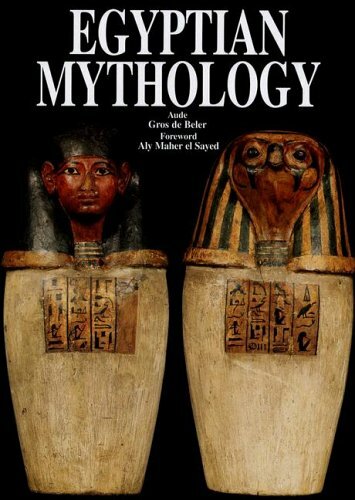 It contains a lot of good beginner information about the Gods/Goddesses of Egypt. I highly recommend this book for the Level 2 reader. 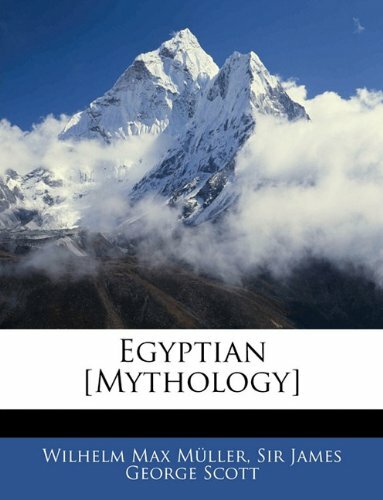 As a big fan of ancient Egypt, I found this book to be a great resource that broadly covers the big themes in Egyptian mythology. Complex issues abound and researchers continue to unravel the political underpinnings of these tales. Hart handles this very adeptly, but to an American reader, his voice tends to interfere with the narrative; he often in finds some metaphors droll and the sexuality is couched in almost Victorian terms. His observations clearly indicate he feels he writes on the subject from a higher, much more civilized perspective. In buying this book I was hoping to get an idea of the stories in Egyptian mythology since I knew little about it.I was disappointed however because the author spends too much time in my opinion on the origins for learning the myths rather than the actualy stories.He goes into great detail describing the temples and shrines that the actual glyphs were found in.He even goes to the lengths of telling what museum some of these artifacts can be found in.While this is also an interesting subject, in buying a book entitled Egyptian Myths I was really hoping just to learn what they were. The desire to understand Egyptian mythology is often, irrespective of religious preference, part of a search for the source of our spirituality and for the light that has been throwing a particular glow on humankind's ambitions and metaphysical speculations for thousands of years. So to enter the pantheon of ancient Egypt is to try and understand the complex relationships that united gods to humans. It is to try to reach through multiple transpositions -- half human, half beast -- the divine nature that haunts all civilizations. 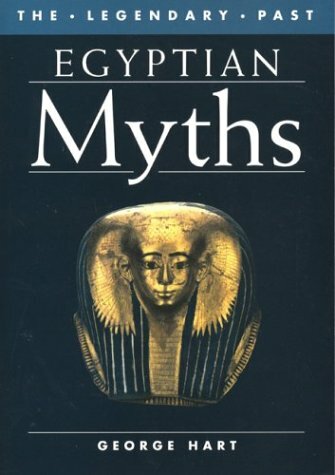 One of the best written books I have ever read.The poetry is beautiful and really brings the translation to a higher level.This book is my version of the bible, and some of the chapters have helped me to understand the origin and true meaning behind some of the bible's far fetched tales.I would recommend this book to any and everyone.The Egyptians were highly evolved spiritually. I read the Chapter "The Bath" first.A few paragraphs into it, I felt like reading it out aloud.So I did.And it felt so good.Half way through it I found myself start crying.When I finished the chapter, tears were all over me.I can't even identify where this emotional impact comes from.All I can say is that these words are magic! I purchased this book a while ago. This text is a poetic reinterpretation of the Book of the Dead. Wow. This is probably the most lyric translation of an ancient work I've ever read. The recent Mitchell translation of the Epic of Gilgamesh is the only other thing even in the ballpark. Not only is this marvelously well-written, the theological-philosophical content is amazing and you can finally recognize it thanks to the style of the author. There are some profound things to meditate on in this book. This is probably the only text that "new age" types enjoy that I've ever really enjoyed, too. Highly Recommended to lit buffs, persons with an interest in egypt, and those seeking a meditation text. A final note. 2 different people have borrowed this book and never returned it. If that's not a testament to how good it is, I don't know what is. I'm online now buying my 3rd copy. The only other book I've lent out that's been stolen more is "A People's History of the World". when i bought this book i had no idea how awsome it was going to be, and once i started reading it i coulnt put it down! it is a must have for anyone working there own path. I purchased the book on 12/16 and I have a five page report due 1/8. They send it two, TWO, weeks after I bought it on 1/2. They tell me it is going to come two weeks later. Now I cant even use it for my report. This is the worst shipping ever!!!!!!!!! I don't recommend buying from them when you have a fast report to do. I could of got it from ebay and got it three weeks faster. I recommend going to barnes and nobles for this book for a cheaper price and more efficiency. They also never respond to your emails so don't even try sending one. Middle Ages to the eighteenth century. The "Introduction: The Interpretation of Mythology"
Century Theories. Myth and Writing: The Mythographers. Myth in the Greek City: The Athenian Politics of Myth. 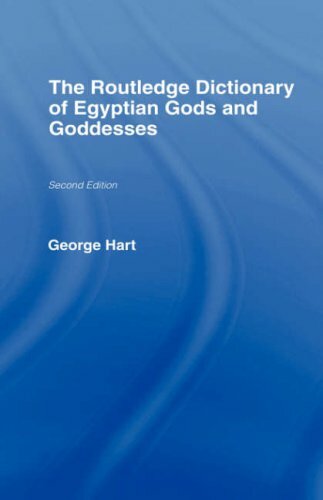 Sir Wallis Budge did a great job of providing a summary and then a highly detailed image of Egyptian beliefs in this book.He includes the hierogliphic texts so that one can do the homework themselves.Everyone that is serious about religious studies should own this book.Christians might be surprised as to what's in this book as well. 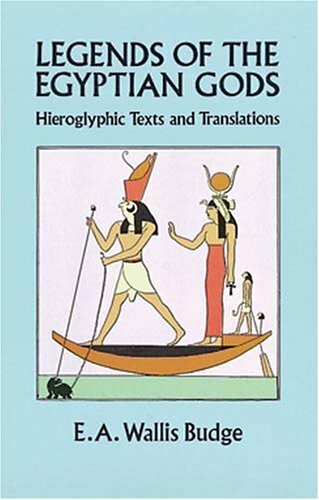 Kim Ringenbach's review would seem to refer to a different book - this one consists entirely of Egyptian legends presented in their original hieroglyphic form with Budge's translation. One would have preferred photostats or photos of the actual documents - as it is, the texts are written in Budge's font style, which is clear and easy to read, but doesn't give much practice in reading actual texts. However, this is a very useful document for those who are studying Egyptian. I was hoping for some more populist legends like the story of Sinuhe or the Shipwrecked Sailor - these are the typical "official" stories of creation and the gods. All This Boring Intellectual Stuff!Classic Egyptology! Gimme back my Marvel Comics!Who wants all this stuff with all words and no color comic panels?Yech!They expect me to read all these paragraphs!! !Come on, if you don't know anything about the subject material, stick with Captain Marvel and reading boxes of Cheerios.This is one of the modern world's greatest Egyptologists presenting nine of the greatest myths of ancient Egypt, translated directly from the hieroglyphs.It doesn't get much better than this.No, you won't see any color glossies of Harrison Ford, and they do use long words made up of even six, seven, sometimes eight characters.And some of the sentences even contain as many as ten words!Or more!All in a row!But this is the real stuff, primary source material.Written thousands of years ago.True what the ancient Egyptians had to say probably doesn't quite compare to visceral, heady thrills of the adventures of Captain Marvel.But for the rest of the literate and educated world, this is required reading if you're seriously interested in ancient Egypt and their mythology. This celebrated study — derived from Lockyer's belief that ancient Egyptian monuments were constructed "in strict relation to the stars" — explores the relationship between astronomy and architecture in the age of the pharaohs. 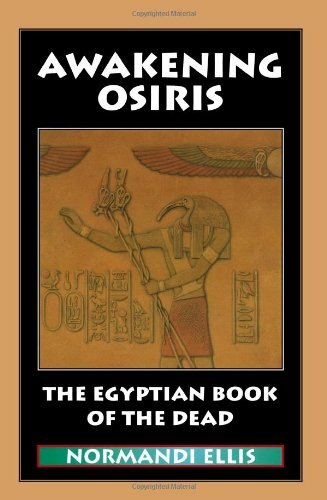 The author addresses one of the many points already extensively investigated by Egyptologists: the chronology of the kings of Egypt. There is no Egyptian Hesiod or Ovid.Still less is there anything from ancient Egypt that is like the Bible or the Koran.Instead, we have certain core myths that recur in fragmentary forms (mythemes) and in countless variations, down through the centuries.Enacting these myths, we have deities who constantly get killed and reborn, who take on various animal guises and, most confusingly, often merge with one another to form composite deities. Making sense of this disparate and perplexing data, so different in flavor from the more familiar Greco-Roman or Norse myths, is a huge task.Geraldine Pinch succeeds splendidly, especially given the very restricted space she has here. 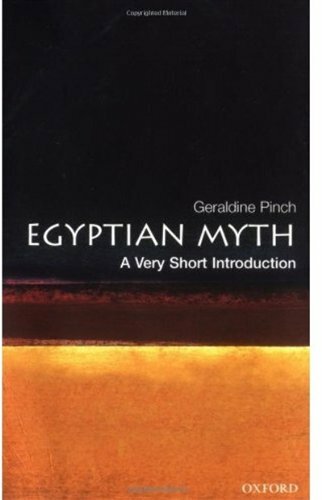 Pinch has a very readable style, free from scholarly pomposity, but without any dumbing-down.She clearly knows and loves her subject, and recognizes the difficulties of getting to grips with it.This is an enjoyable and authoritative introduction to the mythology that helped sustain Earth's first great civilization for thousands of years. - Atlantis development and then organ forming (lungs, brains) very briefly. - The forming of male and female bodies (throuhg Osiris and Isis influence). What I like about this book is that Rudolf Steiner went relatively in-depth with his explanation but still stayed on the surface enough, which makes it an in-depth but still understandable book for beginners into this matter... it is not too in-depth. 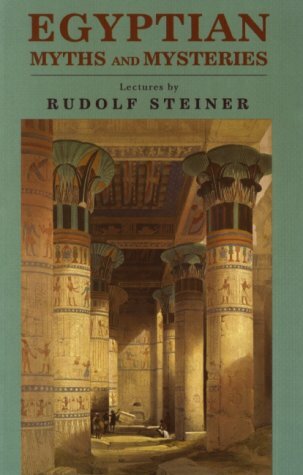 Rudolf Steiner tried to explain all this by using the stories of the Egyptian Mysteries as a reference. One of the most esoteric books in print. We rate this books tops for a coherent, not overly complex telling of Egyptian mythology.Unlike some of the books we've read, this one doesn't try to include every detail of every deity, making it a superb place to start.If your scholar takes an interest in Egyptian mythology, he or she will have a good basis on which to sort out the myriad complex details that so many other books include.Our scholar is six, and we read the stories together as a family ... we started after dinner, and he begged for 'just one more" until well past bedtime.Just what we look for in our educational materials!